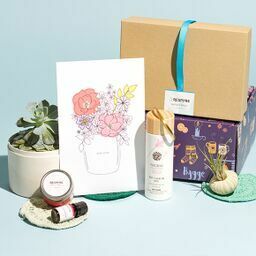 From book subscriptions and beauty boxes to craft kits and gardening boxes, Cratejoy’s marketplace offers a diverse array of gifts and subscription boxes based in and shipping to Australia. Just to make it easier for you, we’ve rounded up some of our favorite and most popular subscription boxes below. Some of these boxes ship globally to Australia, but a select few include the bonus of free or low-cost shipping within Australia. Who doesn’t love that? Happy shopping! What's Included: Calling all single ladies, SinglesSwag is a subscription box that delivers women's lifestyle products every month! Choose between the Petite box for 3-4 full-size products or the original box for 5-7 full-size products and you’ll receive goodies like organic bath and beauty products, artisan snacks, fashion accessories, books, and other fun gifts! 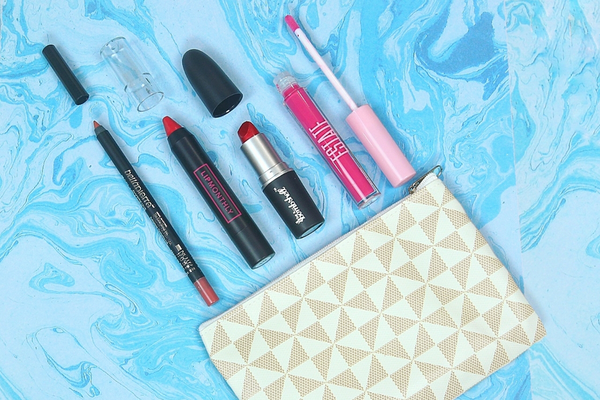 What's Included: Lip Monthly is a monthly subscription box dedicated to lip products. Each box includes 4-5 full-size lip products like lip gloss, lip crayons, lip scrub, and more! Discover great new brands while exploring different lip shades. What's Included: Bring the fun of an escape room challenge to your living room! Each Escape the Crate box delivers a new mystery to solve plus all of the clues, puzzles, and ciphers needed to crack the case. Mysteries typically take 1 hour to solve and can be completed as a group or as a solo mission! What's Included: Relove Print gives preowned books a second chance. Each monthly book box includes 1-2 gentle used books in the genre of your preference, plus 1-2 additional surprise gifts. Gift new books every month knowing you're helping the environment! What's Included: Add that finishing touch to any outfit with the mintMONGOOSE subscription box. Featuring high-quality jewelry pieces at affordable prices, each standard box includes 3 simple jewelry pieces curated to work with everyday style, in their choice of gold, silver or both. With the black box upgrade, you’ll give 4 jewelry pieces and 2 stylish accessories like scarves or nail polish. What's Included: Just Enough Beach is a unique candle subscription service that delivers lux candles in delicious scents inspired by popular cocktails! Each month subscribers can expect 1 hand-poured soy candle with at least 35 hours of burn time in scents like Passioned Lime, Peachy Punch, Rose Bellini, and Lychee Martini. All candles are made locally in Yamba and packaged in beautiful gift wrap! What's Included: Honeybundle is a lifestyle subscription box curated for women by women. Each box has a $130 minimum value and includes 4 full-sized lifestyle products like bath and beauty products, skincare, loose-leaf tea, and candles. Their mission is to empower women while supporting women-run businesses, and donate 100% of profits for charity! What's Included: Discover new art supplies while creating a beautiful work of art with a subscription to Paletteful Packs. Subscribers can choose between 2 subscription options for 4+ or 5+ high-quality art supplies like sketch pads, oil paints, pencils, tool sets, and more. Subscriptions are curated for artists of all experience levels. What's Included: Tease With Tea is a great gift for a tea lover or for yourself! Each box includes 3 different gourmet teas (enough for 38 cups) from around the world, a bite-size treat, and a steeping guide to get the best cup of tea possible. If you're purchasing a gift they'll also include a special message at your request! What's Included: If you love all things stationery and planners then CLOTH & PAPER is a must try. Subscribers can choose between 3 subscription options, Penspiration for 4-6 different types of pens and pencils, The Planner Stationery Box for 6-8 items like notepads, stickers, journals, and notecards, or a combination of the two! Each box is beautifully curated and wrapped, making it an extra special treat. 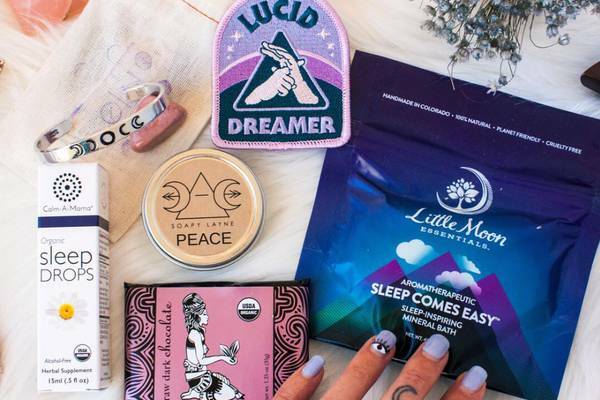 What's Included: Goddess Provisions is curated to enhance spiritual growth and unleash women's inner goddess. Each monthly box is includes 5-7 full-sized items like crystals, vegan beauty products, aromatherapy, spiritual tools, and snacks. All products are 100% vegan and cruelty-free and are typically valued between $80-$100! What's Included: Culture Carton is a unique men’s lifestyle subscription box delivering essentials for self-improvement. Choose between 3 subscription options for lifestyle items plus a handpicked book, just the handpicked book, or just the lifestyle items. Subscribers can expect items like fashion accessories, grooming products, gourmet snacks, leather goods, and more! What's Included: What better way to relax and unwind than with a classic novel and a hot cup of tea? Literary Tea Co. is a new Australian book subscription box that includes a newly released book, plus 6 limited edition teas, all gorgeously wrapped in their unique book box that matches the theme of the included book. It makes a great gift for some "me time" or for any book lover! What's Included: Color Curate is one of our favorite beauty subscription boxes that features innovative, and color-intensive makeup products all packed in a cute new makeup bag. Subscribers can expect 4 full-size beauty products per month that are always vegan, cruelty-free, and gluten-free. Products include everything from eyeshadow and lip crayons, to bronzer and beauty tools. It's the perfect gift box for any beauty lover! What's Included: Japan Crate is one of the most popular Japanese subscription boxes. Choose between 6 subscription options, ranging from all things Kawaii and Japanese beauty products, to unique snacks and candy for treats like Green Tea Kit Kats. Plus, they offer free worldwide shipping! What's Included: Easy Come Easy Grow is a subscription service that helps take the guesswork out of starting and growing a garden. Each monthly box includes 3 different in-season herb or vegetable seeds, plus information cards with instructions for planting and growing. All seeds are from Australian companies and can work with either a backyard garden or a windowsill garden box. What's Included: GeekGear is the ultimate subscription box for Harry Potter lovers! Each monthly Wizarding World subscription includes 6-10 exclusive licensed products you won't find anywhere else like collectibles, postcards, wall art, and always a new t-shirt in each box. It's the perfect subscription or gift delivering fun wizarding magic! What's Included: Antipodean Witch is curated exclusively for Southern Hemisphere witches and pagans. 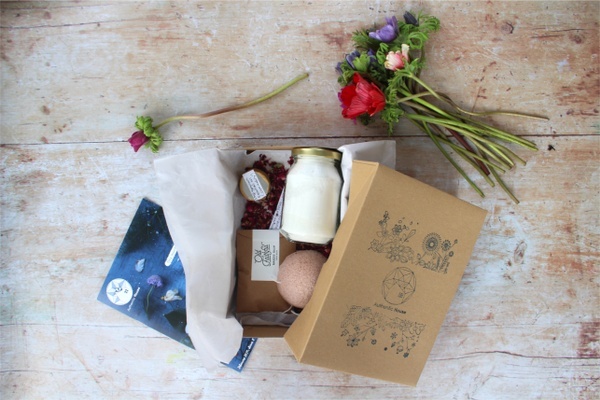 Each monthly box delivers essentials to enhance moon rituals and is aligned with the current season and upcoming full moon. Subscribers can expect 10-20 cruelty-free handcrafted items like crystals, spell components, herbs, altar tools, all retailing at least $65. What's Included: TheraBox is the ultimate self care subscription box, and one of the most popular gift boxes. Each monthly box is curated by therapists to reduce stress and increase happiness and has a retail value of at least $100. Subscribers can expect 6-8 self care and wellness products each month, like aromatherapy, skincare products, and organic bath items, plus 1 happiness activity. A great #TreatYoself gift or for a loved one! What's Included: Chocolate and book delivers a unique reading experience by pairing a new book with delicious chocolate and a hot drink each month. Subscribers can choose between 7 different book genres, like sci-fi and fantasy, Young Adult, and Thriller, and select any food allergies or dietary restrictions to personalize each treat included. Didn’t find the best subscription box for you? Check out these other subscription boxes that ship to Australia from all over the world!